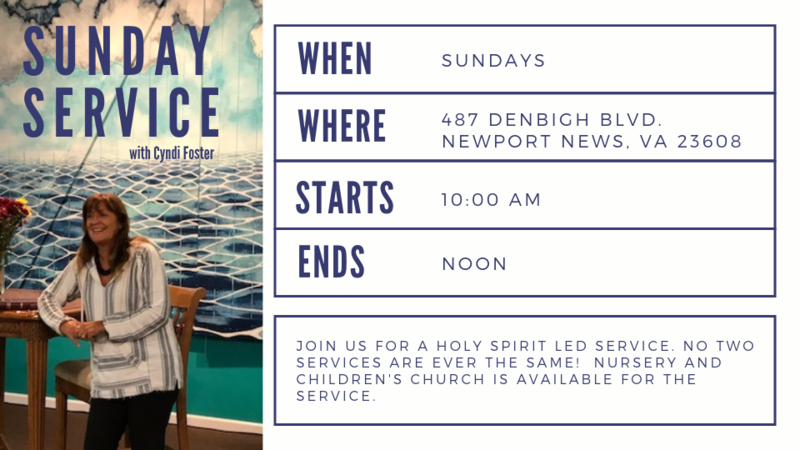 Join us for a Holy Spirit led service with Cyndi Foster. No two services are ever the same! Nursery and Children’s Church are provided.